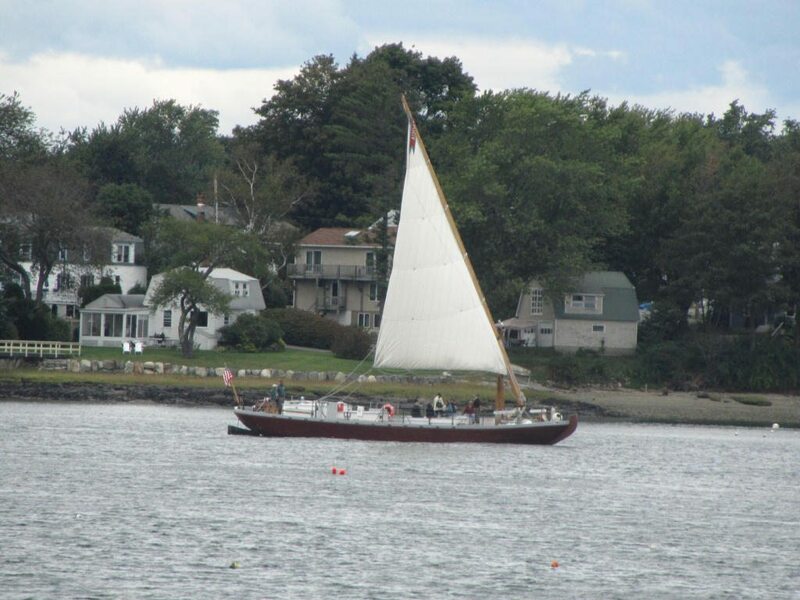 This is a Gundalow sailing along the Piscataqua River. Gundalows were originally flat bottomed barges used to carry cargo from ocean going vessels to ports in shallower waters. They had no engines and were propelled by the tides and a small sail.